This product review on Orgo, which is a product I recommended for those who are looking for gifts for your wanderlust friends/family! As many of you know, and the purpose of the blog, is to share my experiences, recommendations and tips for the traveling that I do, and you’ve been a part of! A part of that is what to pack.The last thing that a frequent traveler wants to do is to spend more time than necessary packing. To be honest, I’ve made it a personal goal to pack all things within 10 minutes. Which, in some instances is a matter of switching out the last trip clothes with the new. This has come in good practice. Recently, in sharing stories of my travels, I have been introduced to Orgo, a travel organizer. The organizer is about laptop size (25″ length) that is separated into two zipper compartments. What makes this product different than the ones I’ve seen, is there is an adjustable strap that allows the two compartments to be separated down the middle to spread out and have additional shelving best used for sinks (this expands the length to 35″). Within each side are organizer dividers. This, I found useful when packing to keep things where they belong and to easily find them after your bag(s) have been shuffled around carrying it around. – For those that pack military style (roll clothes) within backpacks, Orgo provides limited space remaining for clothes, especially since the product doesn’t fold to any other shape. My trip to New Orleans I was able to fit 1 pair of jeans, 1 pair of leggings, and 3 tank tops. Generally, I can pack double that. The product is relatively new, I am sure once it spreads there will be more variations and sizes available. I will say I will be the first to sign up if the product was half the width. I would say the product would be best used for checked in luggage, or traveling on a car trip. 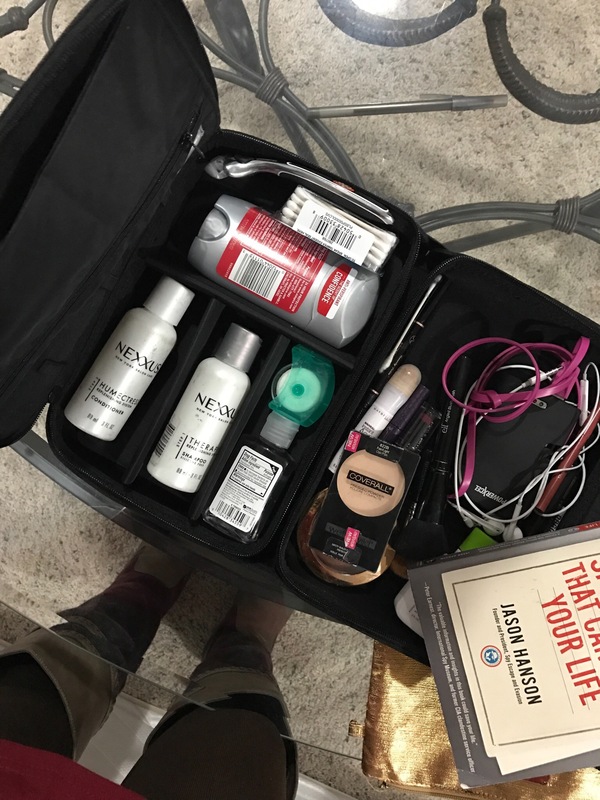 I will continue to use the product to organize my travel items. When packing with limited space, however, will likely resort to my mini travel bags that allow me to fold and adjust around my clothes. Check the product out at EverythingOrgo.com, and comment to tell me what you think!